The hepatitis C virus (HCV) is a major public health problem. Worldwide, about 70 million people are living with hepatitis C virus infection, with a higher prevalence in developing countries. In Canada, 210,753 to 461,517 people are infected with HCV, and an estimated 20 to 40 per cent of infections remain undiagnosed. Those born during the period of 1945 until 1965 have the highest rates of infection and, having acquired the virus decades ago, are now increasingly being diagnosed with serious liver-related illnesses, including liver failure and liver cancer and non-liver related illnesses such as cardiovascular disease, diabetes and kidney disease. While the new highly effective hepatitis C treatments are expected to turn the tide of increasing liver-related problems and early death, for any hepatitis C treatment program to have a major impact, patients have to be diagnosed, connected to the right kind of care, and begin (and complete) treatment. Accordingly, we need to monitor the progress of patients across their illness and care journey (also known as the cascade of care) − to evaluate the effectiveness of our hepatitis C care and treatment programs. In the Global Health Sector Strategy, the World Health Organization (WHO) has set bold goals for HCV. The Strategy calls for eliminating viral hepatitis as a public health threat by 2030, a goal that would reduce HCV-related deaths by 65 per cent and new infections by 90 per cent by 2030. WHO is using the cascade of care to monitor the progress of countries towards these goals. So what is the hepatitis C cascade of care? WHO defines the cascade of care as the continuum of services that people living with hepatitis should receive as they go through various stages, from testing to diagnosis, to treatment to cure, to chronic care, if needed. This serves as a tool for monitoring the progress of patients at a clinic, in a city, a province or in a country. Monitoring the population affected by HCV across stages of a cascade of care at a broader population level provides a measure of hepatitis C programming effectiveness and identifies gaps in services and access. British Columbia has constructed a hepatitis C cascade of care at the provincial level through the integration of data on hepatitis C screening and confirmatory testing, medical visits, hospitalization and hepatitis C treatments in the BC Hepatitis Testers Cohort . The baseline cascade showed that 73,203 people were HCV antibody positive in B.C. in 2012 (undiagnosed: 18,301 or 25 per cent; diagnosed: 54,902 or 75 per cent). Of these HCV-positive people, 40,656 people or 56 per cent had HCV RNA testing; 26,300 people or 34 per cent had genotype testing; 8,532 people or 12 per cent had received interferon-based therapy and 5,197 people or 7 per cent were cured (also known as a sustained virological response or SVR). Males, people in older birth cohorts, and those co-infected with hepatitis B were less likely to undergo HCV RNA testing. Among those with chronic HCV infection, 32 per cent had received liver-related care. Retention in liver care was more likely in those with HIV co-infection, cirrhosis, and drug/alcohol use and less likely in males and those co-infected with hepatitis B. This cascade highlighted points across the cascade where people were falling through the cracks for various reasons. Not all diagnosed individuals had confirmatory RNA and genotype testing. Having automatic RNA and genotype testing at the laboratory for individuals testing positive for anti-HCV could bridge this gap. This way health-care providers ordering anti-HCV tests would have full information regarding HCV infection status at the time of their patient’s next visit and could decide next steps in terms of HCV treatment, if the person is RNA positive. Other gaps, such as low treatment uptake among people with HIV co-infection and substance use, were related to the perception of physicians regarding poor tolerability and adherence to long-term treatment with interferon. Highly tolerable and effective direct-acting antivirals are expected to bridge these gaps. Data from British Columbia and other places show that treatment uptake for people with HIV co-infection has been improving, though some gaps remain for people who inject drugs. 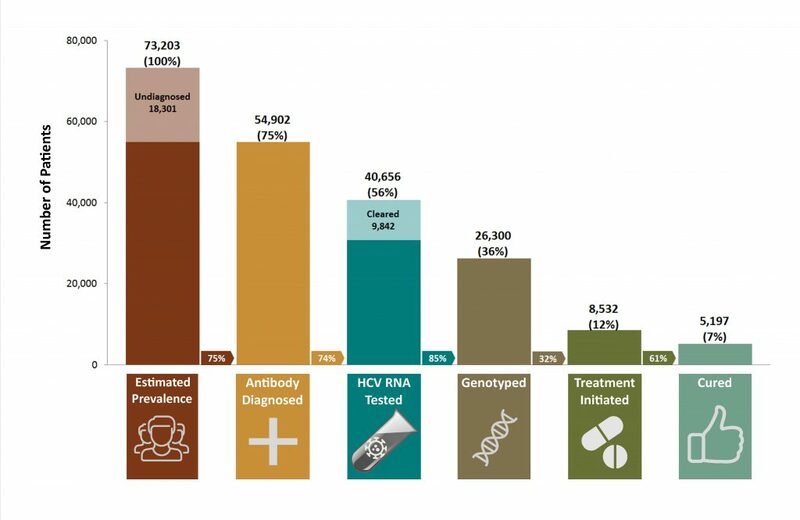 The data uncovered by the BC Hepatitis Testers Cohort highlights the need and importance of monitoring the progress of HCV programs across the cascade of care for entire populations in order to address gaps in care. Other provinces, and Canada as a whole, should invest in bringing together the necessary data needed for constructing cascades of care to monitor all individuals living with hepatitis C across their illness and care journey. Clinical care data generated during contacts with health-care systems are untapped resources that Canadians have already paid for, and could transform HCV care. The examination of data will also allow the health sector to monitor disparities across population groups (ethnicity, people who use drugs, low socioeconomic status) or geographic areas (rural and remote) in provision of hepatitis-related care. 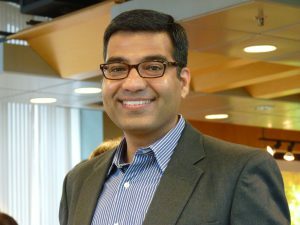 Naveed Janjua, MBBS, DrPH, is a Senior Scientist at BC Centre for Disease Control and Clinical Associate Professor at the University of British Columbia. Testing for hepatitis C involves three steps. 1. A hepatitis C antibody test. If someone has hepatitis C antibodies in their blood it means the hepatitis C virus has been in there body at some point. 2. A hepatitis C RNA test. This test checks for the genetic material of the virus. If it is present in the blood this means someone currently has hepatitis C virus. 3. A genotype test. This test checks what type (or genotype) of hepatitis C virus a person has.